On Friday, the city of Burlington unveiled a brand new statue designed to address growing concerns that American history is actively being erased. 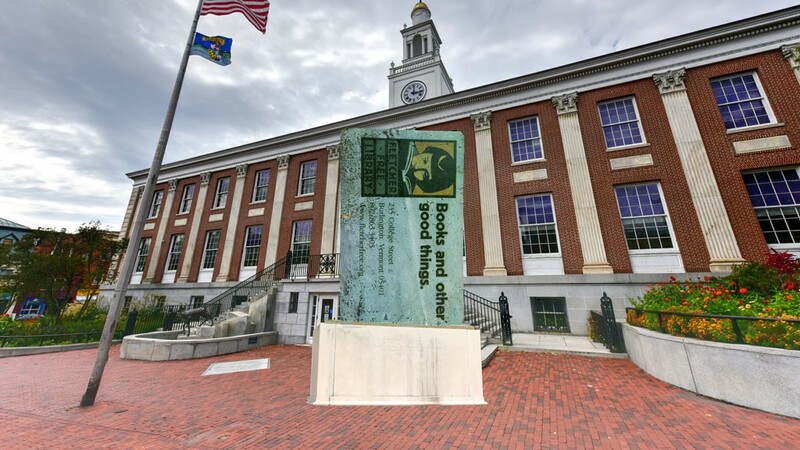 According to sculptor Madeline Stacks, the “Books and Other Good Things” monument was erected as a memorial to the true purveyors of history — library cards. “I want to remind passersby that the only way to truly eradicate history would be to stop reading and learning from it,” she said. “And it’s something that you can do alone, in small groups or even while wearing a hood — as long as you remembered to cut out eye holes, that is. Stacks said the idea for the statue came to her after witnessing how upset some people became over the removal of a statue of dedicated African American family destroyer and northern state underestimater, Robert E. Lee. A small crowd gathered to celebrate the unveiling of the statue, which was seemingly free of the controversy surrounding statues of men who killed fellow Americans over the right to own human beings as property. “I think it’s a beautiful statue that people from any background or level of genetic purity can appreciate,” said solar eclipse glasses manufacturer and unabashed Play-Doh eater Sally Tackintally. “Even white supremacists who are sick and tired of being more likely to graduate college, be employed, be paid more, own a house and less likely to be incarcerated or killed by police can surely see the value of this statue,” said shoe lace tester and avid cantaloupe advocate Roger Chobbleton. In fact, so far the only critic of the library card statue has actually been another Burlington monument — a statue of famed Abenaki warrior Chief Grey Lock that resides in Battery Park.